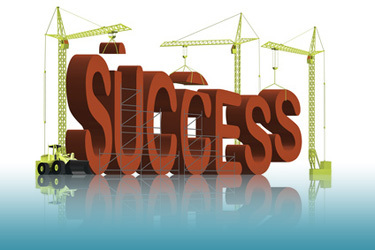 Success starts with having a strong PMO to support Project Managers within an organization. If your organization doesn't already have a PMO now may be the time to develop one. The next step in building a PMO is to determine the structure and develop the team. There is no defined template for PMO structure as every organization brings its own variables to consider. Some manage all aspects of the projects assigned under them like scheduling, budgets, resourcing, human capital, oversight, and communication. Others may strictly coordinate these functions with most of the support coming from adjacent departments. The keys to determining the right structure and team members for the PMO are understanding the most effective way they can co-exist within the organization and finding the right balance between the PMO, organizational culture, roles and responsibilities, and management style. Some things to consider in establishing the structure and building the PMO team include: availability of resources; existing project management standards and methodologies; current roles and responsibilities; the politics of the organization; project size and volume; and current project management problems. The establishment of an effective PMO is beneficial to any organization which manages a portfolio of projects. When planning and building a PMO it is imperative that it is done in a manner which complements the existing structure or the organization. This will allow the company to gain maximum benefit and to do otherwise would be counter-productive. Since every organization is different, the optimal structure for the PMO must be designed based on many considerations and variables. The ability of a PMO to manage projects through consistent and repeatable standards and methodologies brings many benefits. It provides the organization with accountability, continuity, simplified oversight, and the ability to measure project success more effectively. An effective PMO is a catalyst for greater efficiency as it allows an organization to do more quality work with fewer resources and less risk. The result of these benefits is an organization that will significantly improve its project success rate.